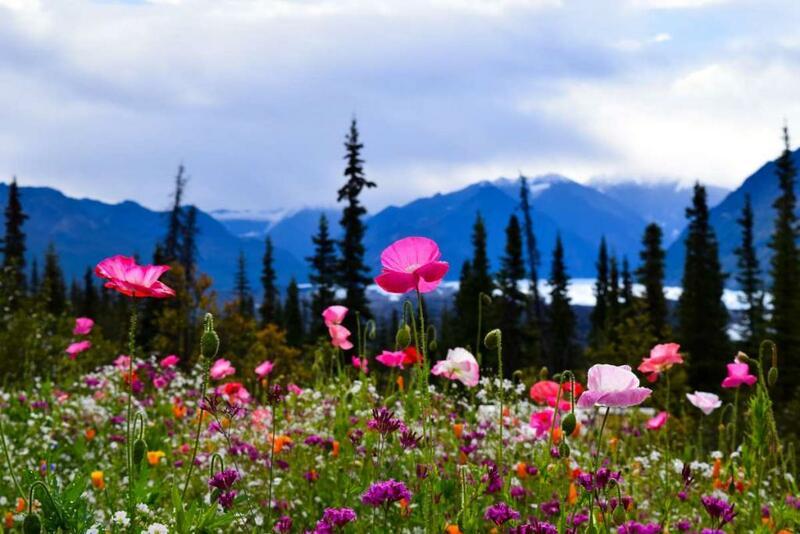 Alaska, known as the last frontier, land of the midnight sun, and place where your life will change! 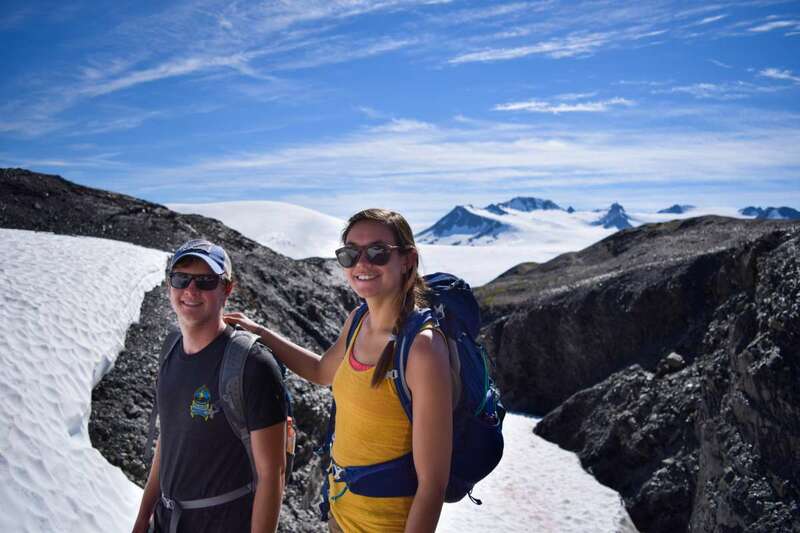 This program combines the breathtaking beauty of Alaska, meaningful service work and adventures that will have the whole family wishing they could come! 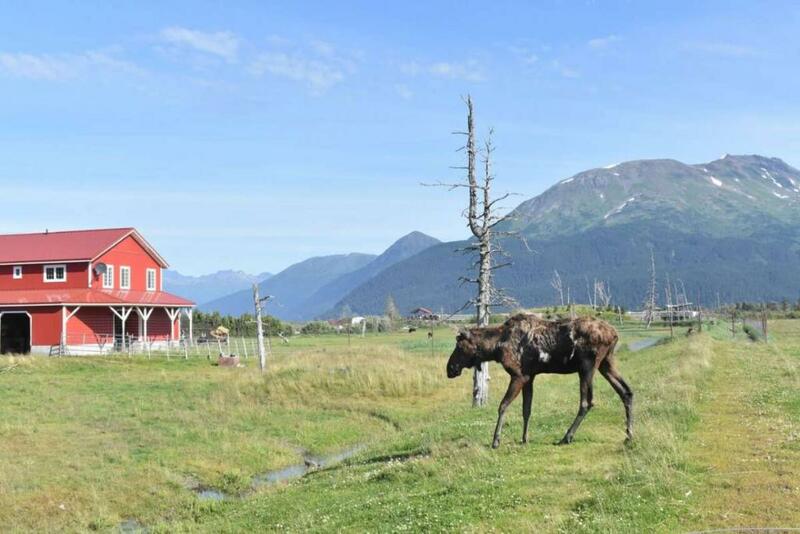 You’ll visit Homer, one of Alaska’s best kept secrets near Kenai Fjords National Park. A true gem of an Alaskan town, Homer has managed to slide under the radar of Alaska’s typical tourists. 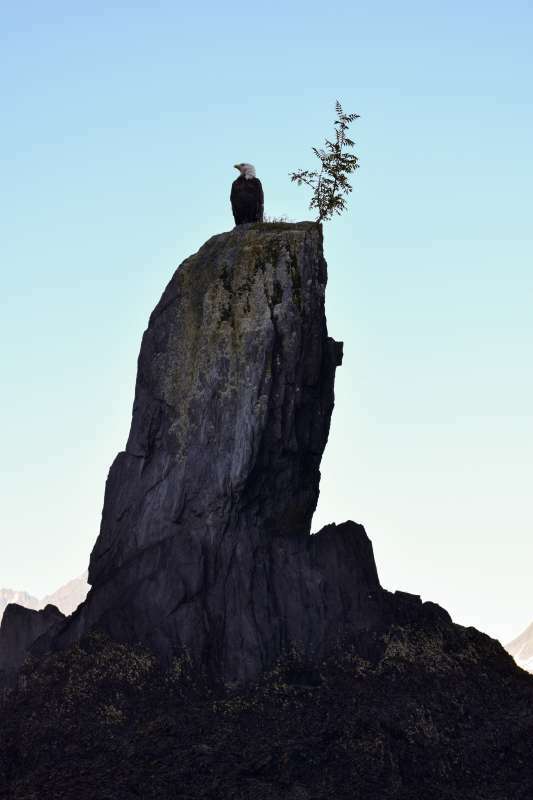 Next, a visit to the fisherman’s haven Seward will bring even more Alaskan culture and adventure into your life. 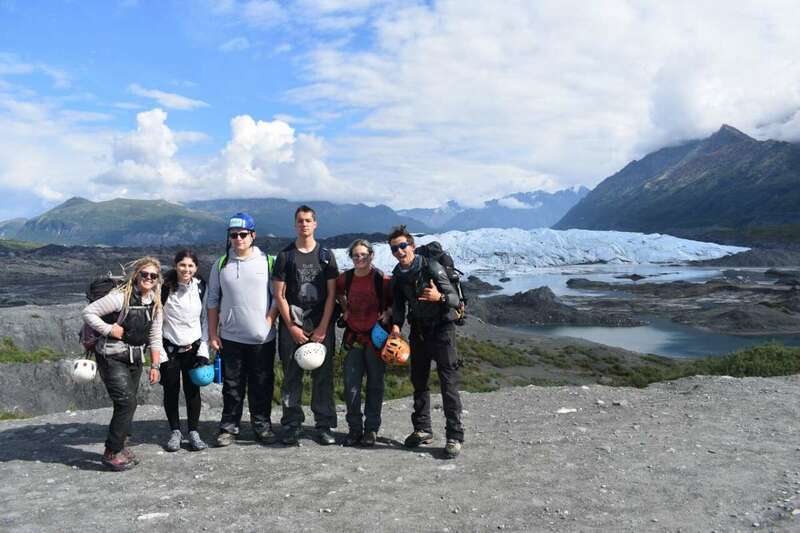 You’ll have the chance to hike to the top of a glacier, whitewater raft down a river surrounded by snowcapped mountains, kayak in a glacial bay while looking for seals, and spend your evenings around a campfire! 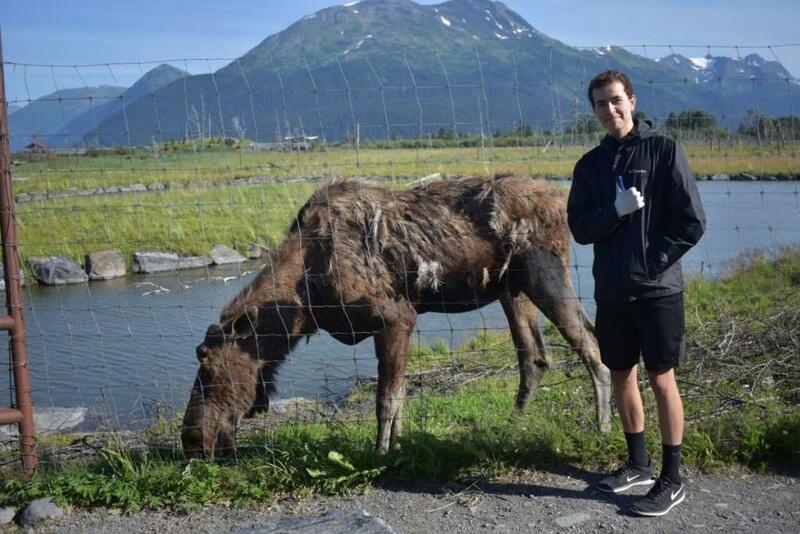 To top off our adventures we will volunteer at a wildlife conservation center for bears, moose, and more! So what are you waiting for? Join Travel For Teens this summer in Alaska for the perfect mix of adventure, service, and exploration! Stargaze and, if we’re lucky, even see the Northern Lights! 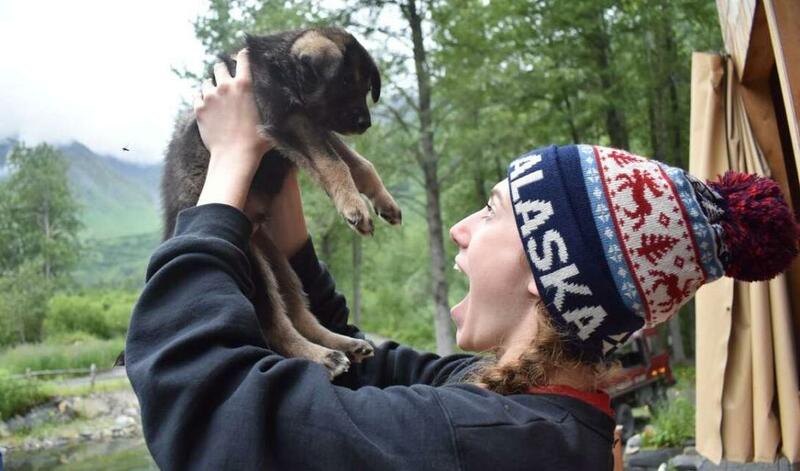 Channel your inner musher as we visit an Iditarod training camp and take the sled dogs out on a run! This exciting adventure begins by joining our Hawaii & Alaska Service program for the last 11 days. We’ll fly to Anchorage, the capital of Alaska, a city holding 40% of the state’s population yet only the 4th biggest city (in square miles). 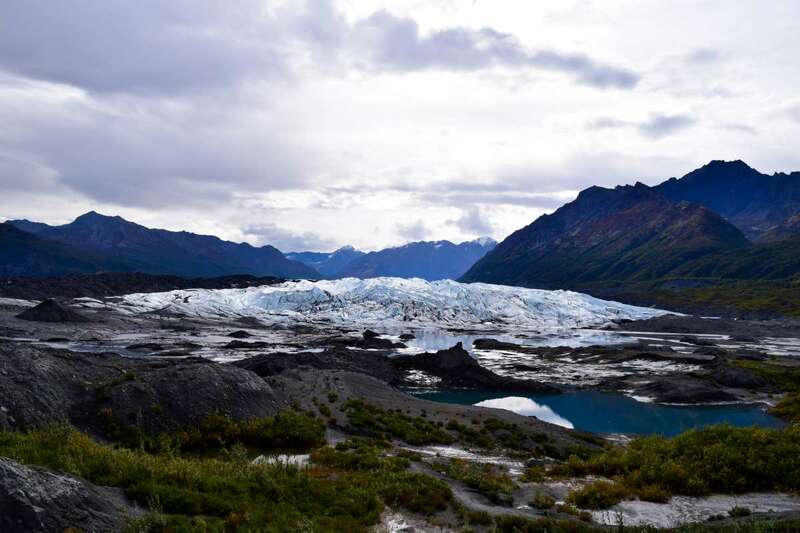 Here we will explore the city, see what survived the famous quake of 1964 and get an insight into Alaskan history and culture while visiting the Anchorage Museum. 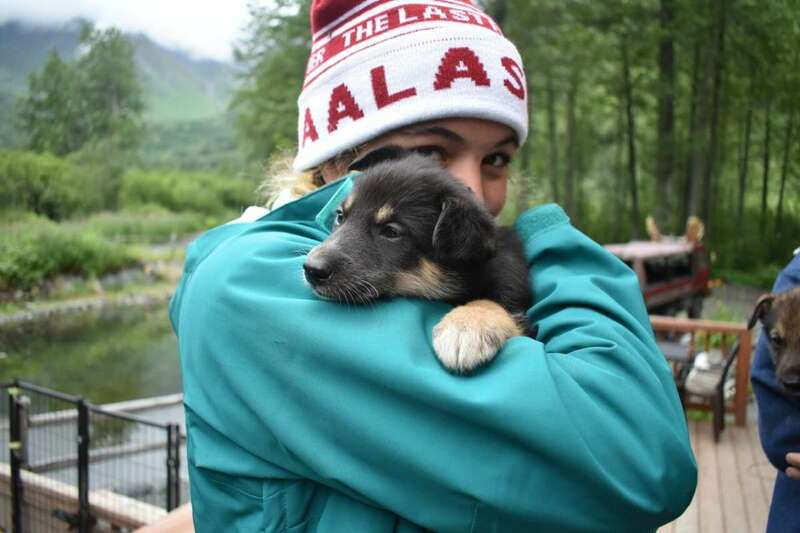 We’ll spend time volunteering at Alaska’s Wildlife Conservation Center. 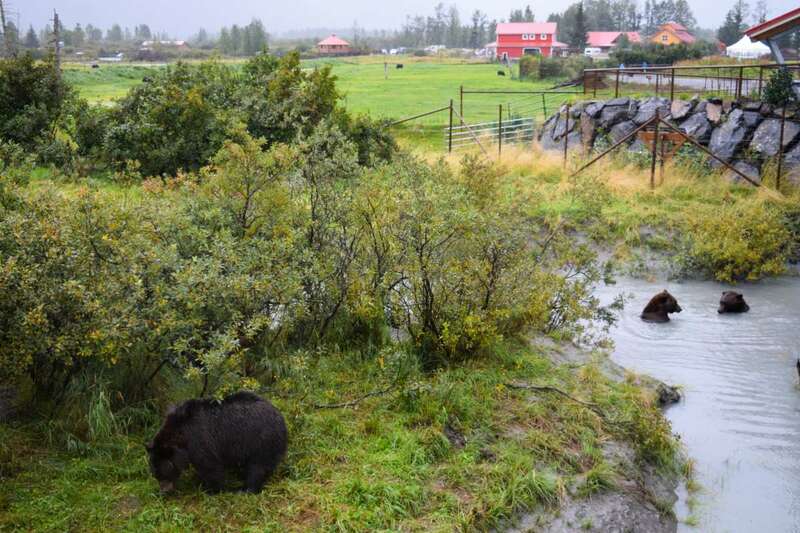 We’ll have a walking tour of the property with a naturalist guide and immerse ourselves in the natural history of the 13 species of Alaskan wildlife housed here. Working alongside staff and naturalist interns we’ll work on projects to better the lives of the animals through husbandry, maintenance, and enrichment projects. 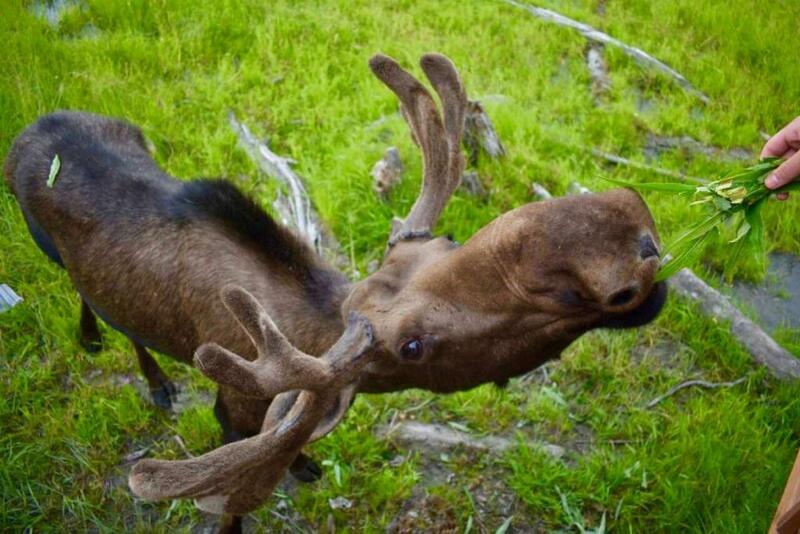 We will even get to feed moose and make “toys” for wolves and bear cubs! Not only is this a fantastic opportunity to give the animals unique experiences, it is a once in a lifetime chance to see Alaskan wildlife exhibiting natural behaviors up close and personal! 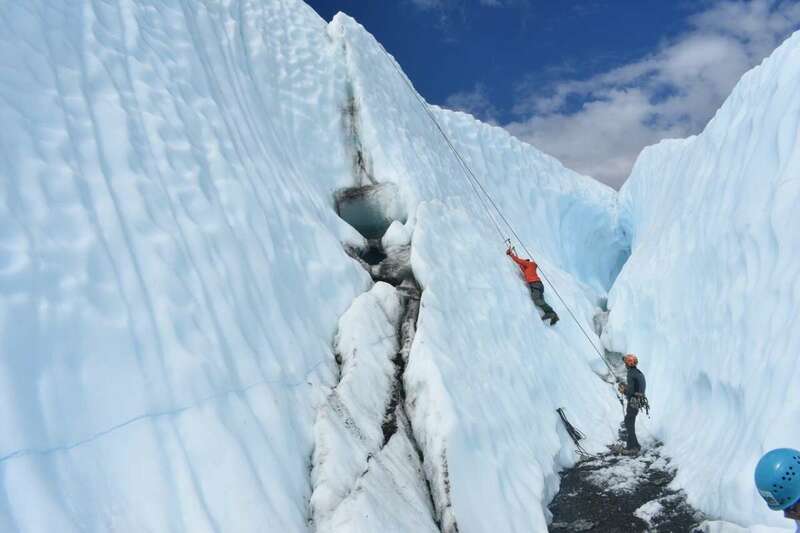 While in Anchorage we will take a day trip out for a surreal experience literally “walking on water” as we trek across the Matanuska Glacier. Those who are looking for an adrenaline-pumping experience will have the option to ice climb instead! 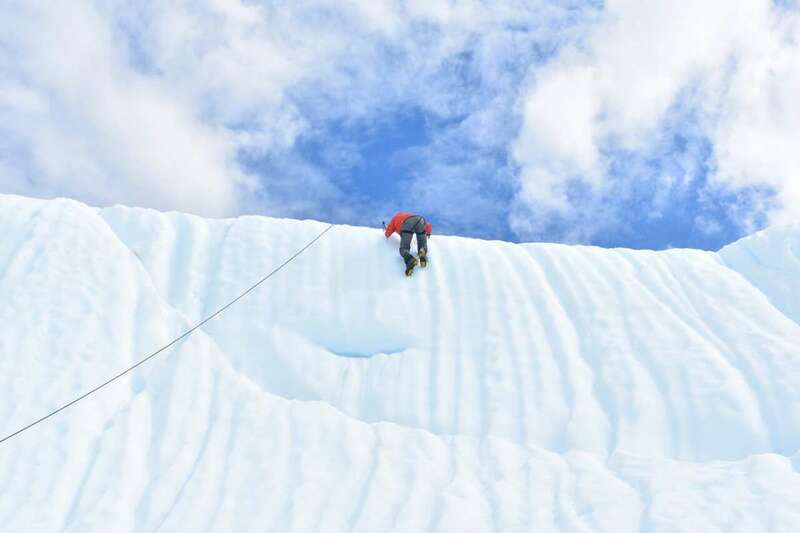 Our expert guides will help us navigate the glacier to discover stunning formations and bright blue ice. 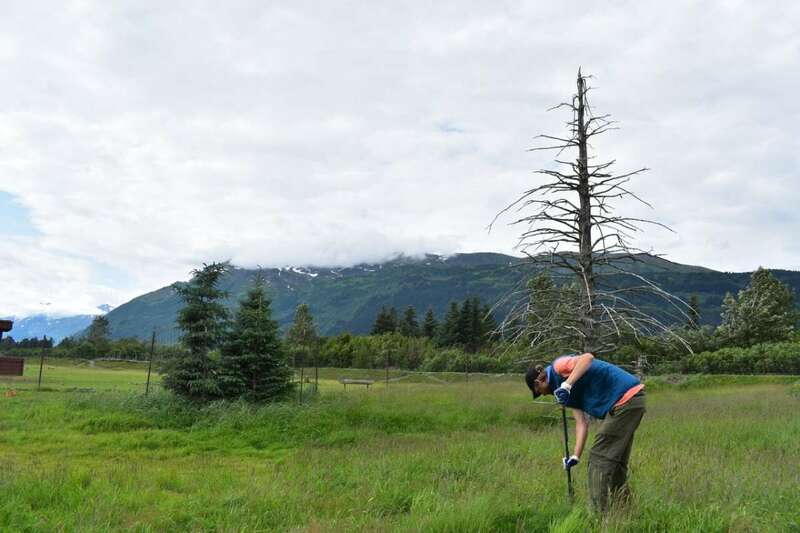 Continuing with our theme of service we will be spending time at a living laboratory on the south shore of Kachemak Bay. 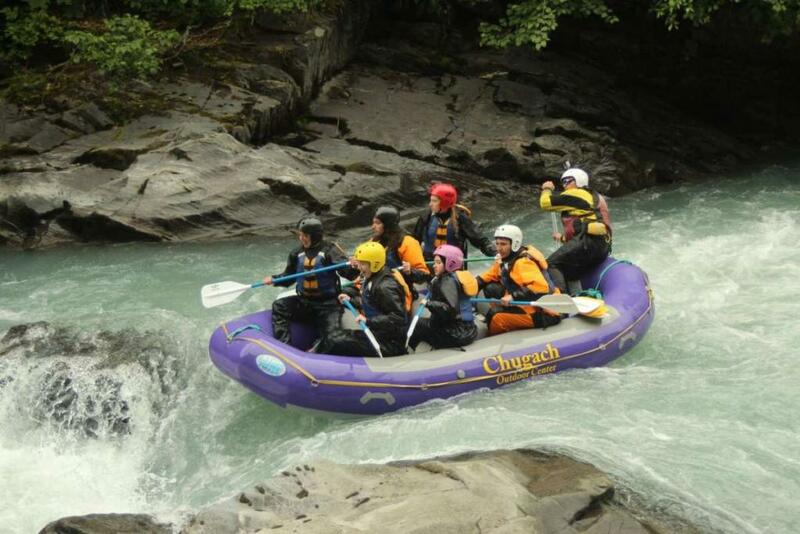 This is only accessible by boat from Homer and we will stay overnight in traditional Yurts. 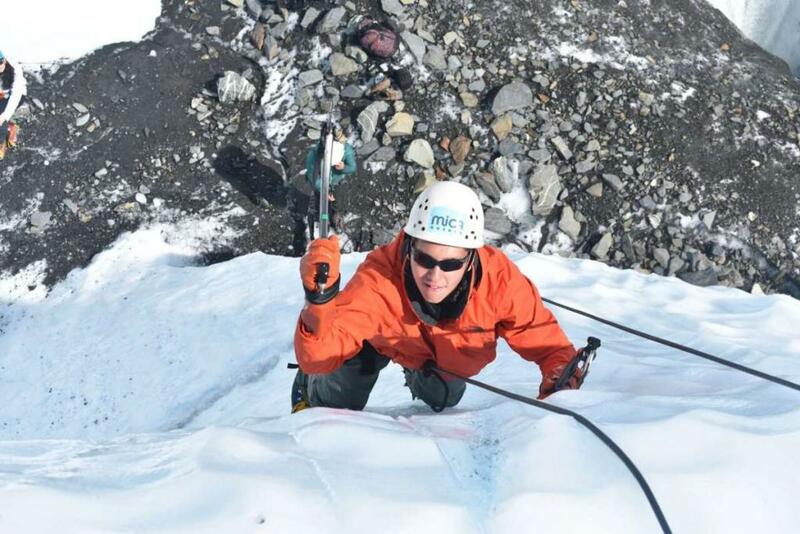 Our group will learn about natural history and assist with maintenance and light construction projects. Once the project is completed we will have a chance to explore Homer, the halibut capital of the world. 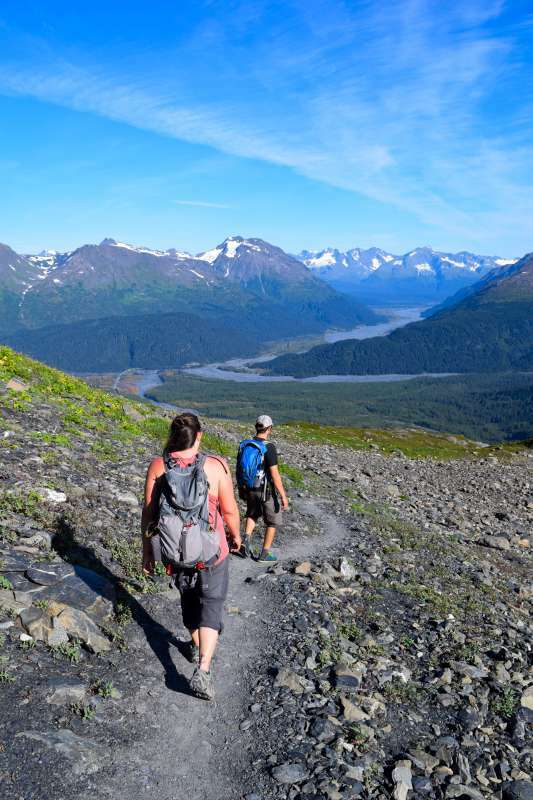 Our group will go on a stunning hike in Kachemak Bay State Park to an iceberg lake and explore the town of Homer, including the unique Homer Spit, a 4.5 mile piece of thin land jutting into the bay where the harbor, restaurants, hotels, and some of the more historic areas of Homer are located. Seward is considered one of the best adventure capitals in the state. 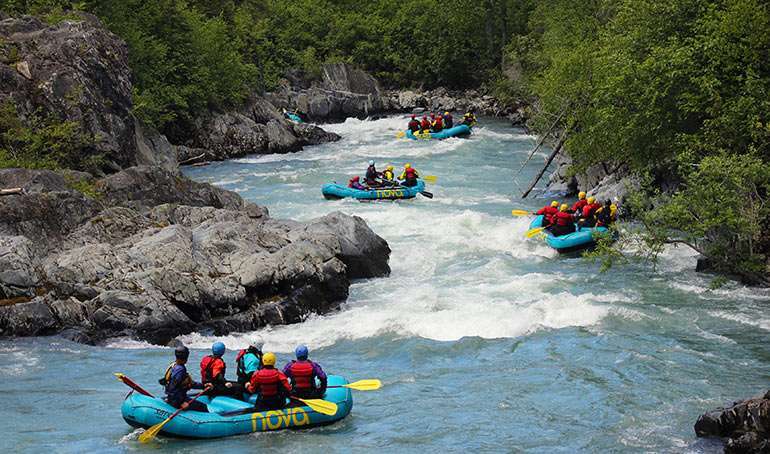 During our time here we will get our adrenaline pumping while whitewater rafting down Six Mile Creek between two stunning canyons. 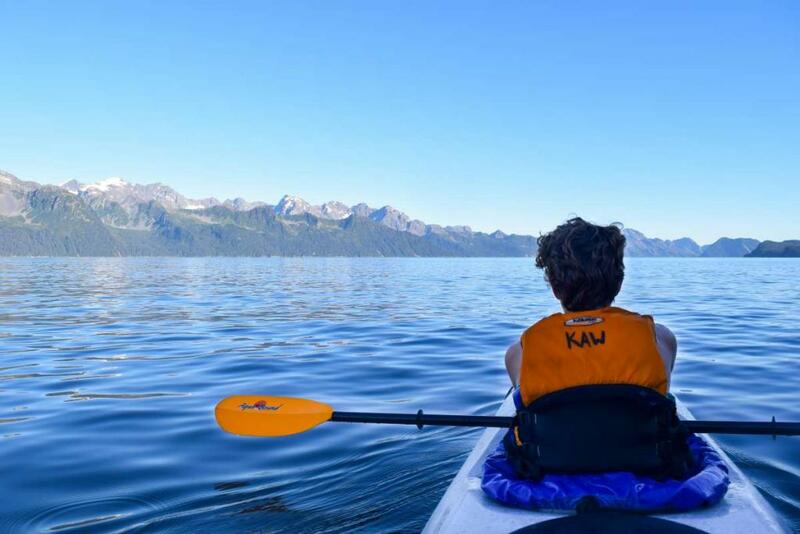 We will sea kayak in Resurrection Bay and learn about the history of the area, discover wildlife, and check out the coastal rainforest. We’ll also visit the Alaska Sealife Center to provide a close up look at many of the species that make up the waters. 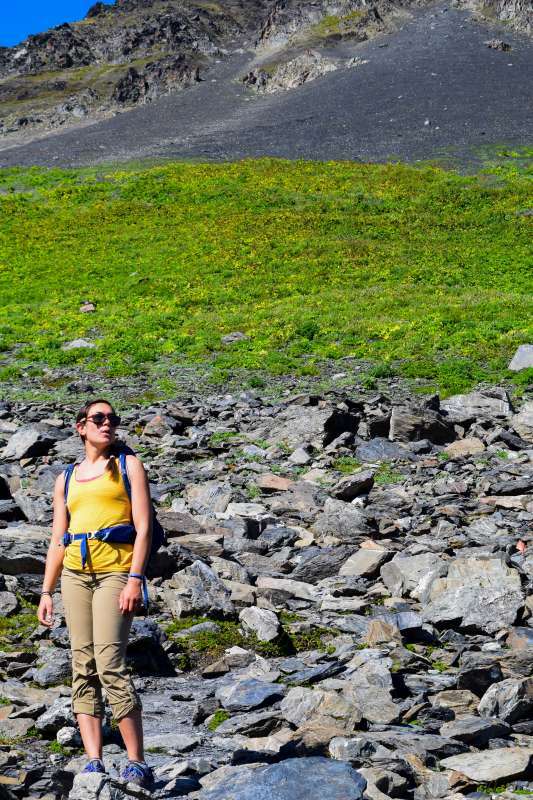 To top off our time in Seward we will experience what many people call the most beautiful hike they have ever done, heading up to the Harding Ice Field at Exit Glacier. What better way to end a dream trip than channeling our inner Iditarod dog sledding champion? 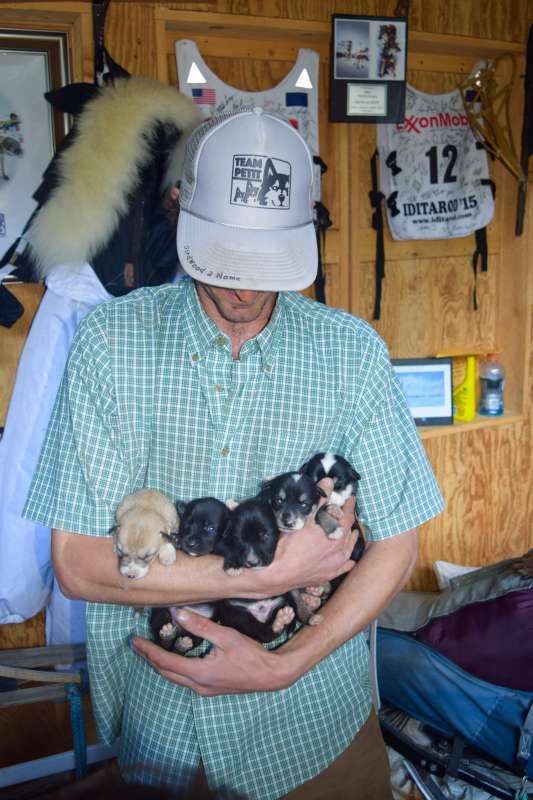 We will visit a camp for the dogs, get to know the team, ride on a circuit, listen to some incredible Iditarod stories, and to top it off, get to cuddle some pups who will someday be racers themselves! Spend the rest of the day hiking, playing disc golf and soaking in the beautiful sights of Girdwood before taking a tram 2,000 feet up and enjoying a fancy final dinner overlooking the spectacular valley and the Turnagain Arm. 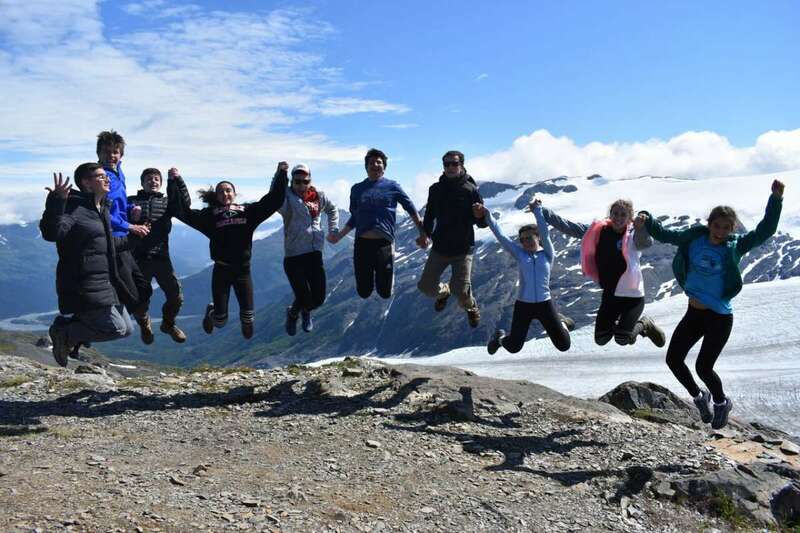 In Anchorage, you’ll get your first taste of what it’s like to stay in a college dorm, as we’ll eat breakfast in the dining hall and live dorm-style for the four nights of our stay! Designed for student housing with privacy and security in mind, rooms are available in single suite, double suite and quad suite arrangements. All rooms have single-person beds and private bathrooms. In Seward, we stay at one of the top-rated hotels, with Simmons pillow-top beds, cozy blankets, free wifi, flat screen TVs with HBO, and all the comforts of home! Our Girdwood accommodation is Alaska’s premier year-round resort destination. 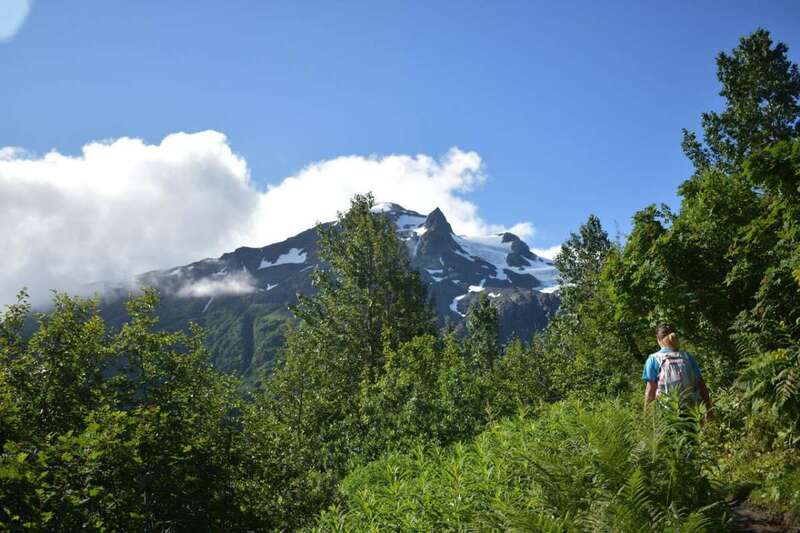 Nestled in a lush valley surrounded by mountain peaks, hanging glaciers and spectacular ocean views, the hotel offers guests luxurious accommodations and convenient access to the magnificent Alaskan wilderness. In a word – delicious! At TFT, we believe food should be an integral part of the travel experience and always make an effort to eat at authentic establishments when we can. What better way to immerse yourself in the culture of a place than by sampling the local delicacies, and we encourage students to do so whenever possible! Just as we stay away from hotel chains, we try to avoid restaurants with menus that cater only to tourists because every good traveler knows the best food is found wherever the locals are eating! Due to the nature of our service being outdoors, please be sure to bring clothes that you don’t mind getting dirty, waterproof shoes, and a hat. A more detailed packing list will be provided upon registration. Any US citizen will not need a visa or passport but will need a government-issued identification to get through airport security. 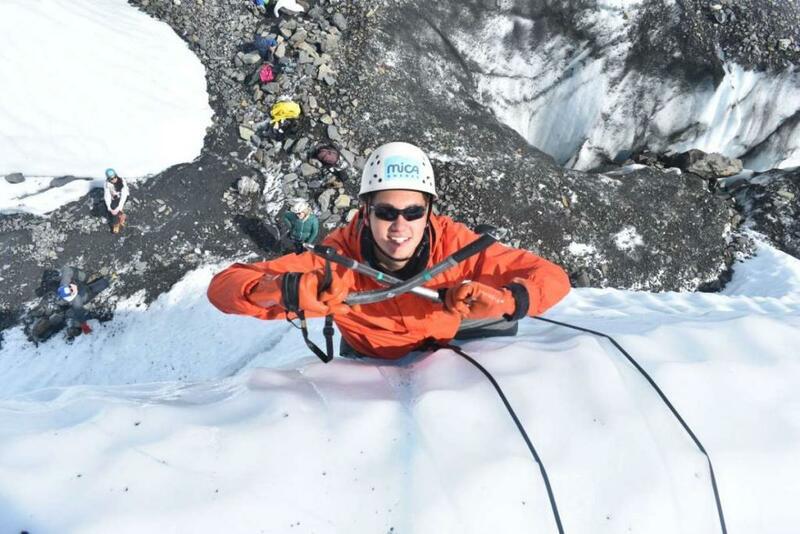 "On my TFT trip, I had the most amazing time. Not only did I get to explore a few cool cities, but I was supported by the best staff. I instantly became extremely close friends with the other kids on TFT trip. Everyone who went was so nice, and within minutes after my arrival in San Diego, any nervous energy I felt had been let go. Over those two weeks, I learned how to be independent, and trust myself as well as how to rely on other kids my age. I loved swimming in the Pacific Ocean. I had so many favorite parts that I can't choose one. We stayed at this incredibly beautiful mountainside lodge in Lake Tahoe, it was so nice. The last night of my trip was really fun. All the kids stayed up together and talked about how much we would miss each other. Two years later, I hung out with a few of my friends from the trip a month ago. Go on a TFT trip, it's an adventure that you'd be crazy to miss. The connections you will make can last a lifetime." 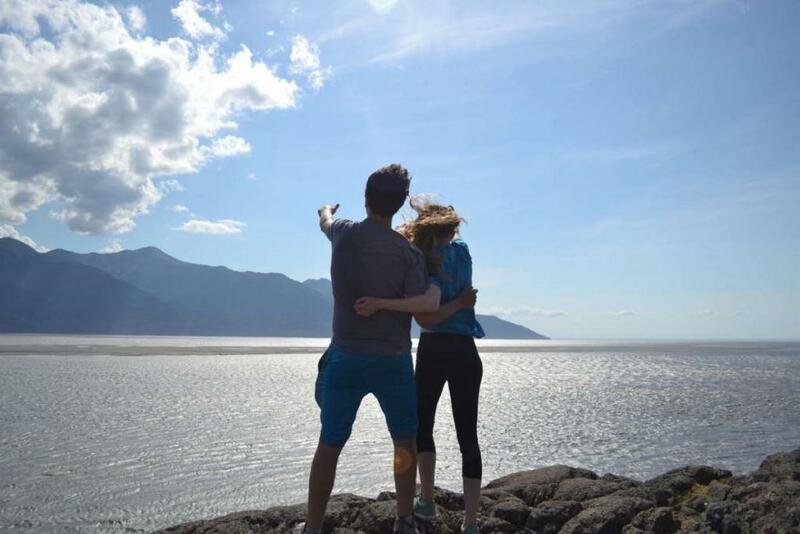 "Visiting the West Coast and Canada was one of the best decisions of my life hands down. The National Parks were incredible sights to see. Rock climbing in Utah was the scariest adventure of my life, but so rewarding. I loved white water rafting and Alcatraz had the best audio tour I’ve ever heard. Camping out underneath the stars in Utah and Colorado was beautiful and I cannot imagine having a better experience. I loved the friends I made on the trip and my trip leaders were well equipped for all situations we experienced and amazing people in general. I can’t wait to travel with TFT again!" "Over the summer going into my senior year of high school I took a trip with TFT to Hawaii. I wanted to go out of the country, but my mom was skeptical. I honestly decided to go to Hawaii because it was the farthest state away from home for me. Before going on the trip, I never really thought about what I wanted my major to be in college. I can honestly say that TFT gave me the push start on my current major and helped me find my passion. During the trip, we did beach clean ups, learned about sea turtles, and hung out with some local children. I got volunteer service hours while having so much fun. I had the best time and met so many amazing people. I am a freshman in college now studying conservation biology at the University of Minnesota. I still to this day keep in contact with some of the people I met on that trip and I am so thankful I did it. 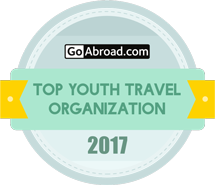 To anyone thinking about traveling with TFT- I highly recommend it."